Where Vermont Goes IN To Play! We are having an online auction that will be live on April 17th 2019. It is an ONLINE ONLY auction. You can start bidding about 10-12 days in advance, but it will be LIVE on the 17th of April around 2PM You are welcome to come in and check out the inventory at any time, and there will be a formal inspection the Monday/Tuesday before the auction. There will not be information available at Pizza Putt, please see the website for any information regarding the auction. If you cannot find the answer you are looking for please email carrie.nhes@gmail.com and I will do my best to answer your questions. Please read the terms and conditions for the auction on that site. Pizza Putt is officially CLOSED. Thank you for all the memories! 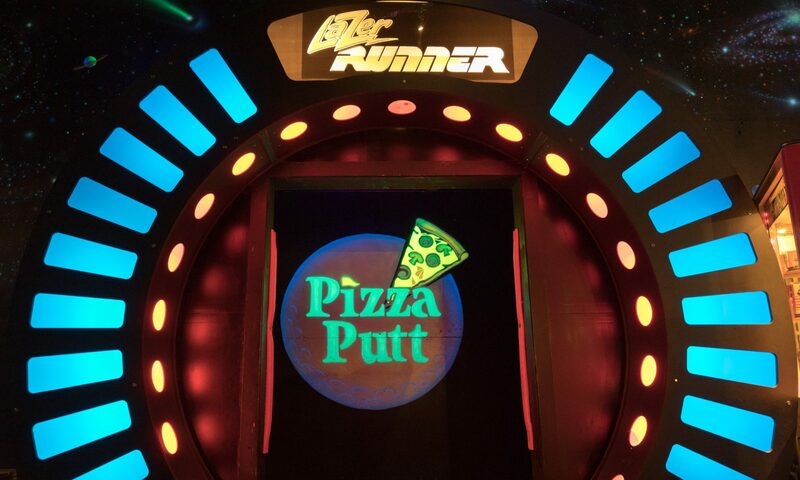 We are sad to announce the closing of Pizza Putt. We have had an amazing time providing a fun place for people of all ages to come together to unwind and spend time with friends and family, but we have decided the time has come for us to say goodbye. Download our commemorative Pizza Putt Shirt order form here! Any unused gift certificates must be used before March 31st 2019. Restaurant.com Certificates can be traded on their website. Any other coupons need to be redeemed before March 31st 2019. Unfortunately no refunds can be provided. Thank you for your understanding and thank you for the many years of fun we’ve had together!